← Introducing the Kaufman Family, sailing around the world with 2 young daughters! Who: My husband Alan and our 4 month old daughter, Anna. Where: Kingston Mills Locks in Ontario, Canada. These locks are used to raise and lower boats traveling along the Rideau Canal. The canal was originally constructed in the 1800s for military transport but today is used mostly by pleasure crafts going between Kingston and Ottawa. They are still hand operated and it is very cool to watch boat going up or down through the locks. 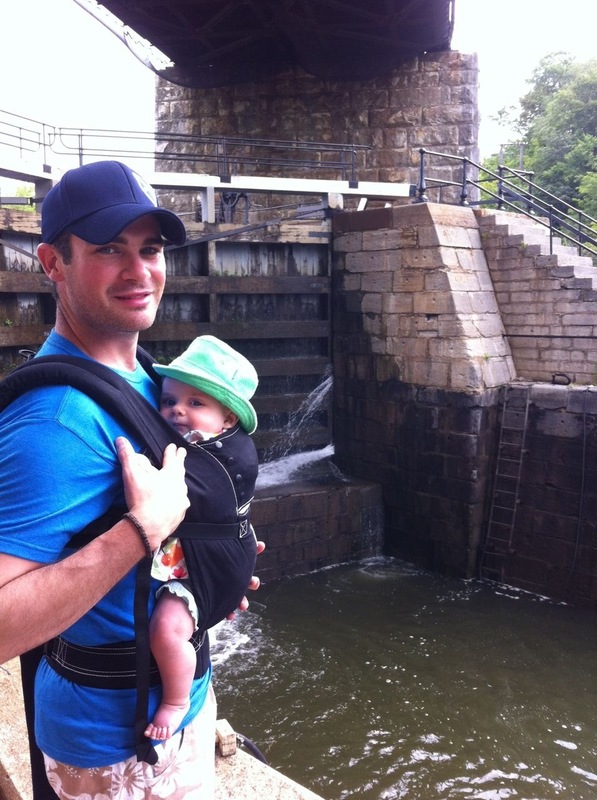 What: Anna is in an Ergo Sport, a very dad-friendly carrier! Anna was not a fan of wearing her hat but it was really sunny out so I loosely set it on top of her head and did not fasten the strap. 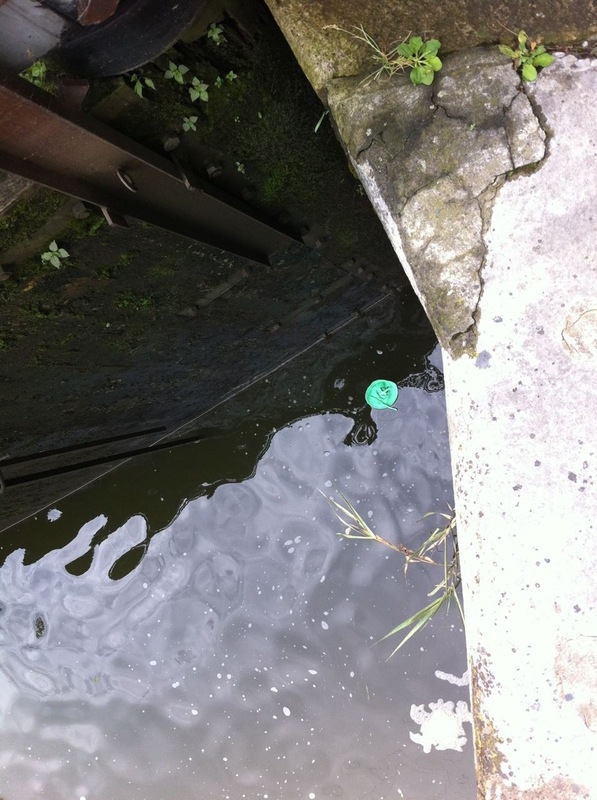 When we crossed the bridge to the other side of the lock, a gust of wind scooped up the hat and dropped it in the water. Alan seriously debated climbing the ladder down into the lock to grab it (minus baby of course) but in the end we decided to leave it there. So long little green hat! Why: We took Anna in the Ergo so that we could get close to the action. She typically gets worn by Mom so it was nice for her to have a little adventure with Dad for a change.